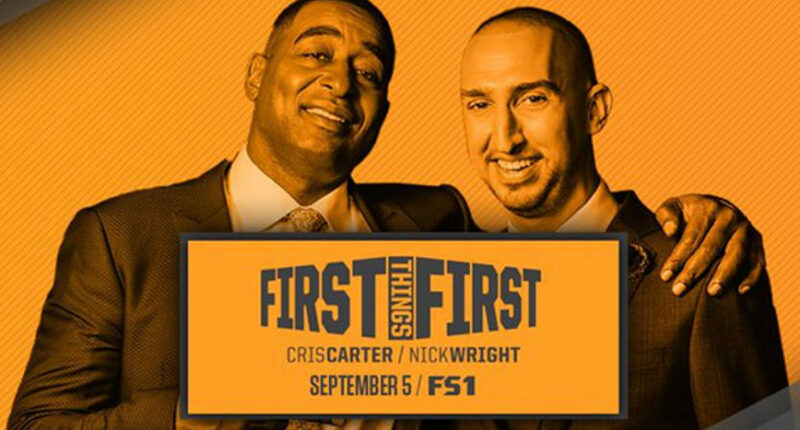 Nick Wright is currently hosting the FOX Sports 1's FIRST THINGS FIRST show airing weekdays from 6:30 to 9:30 AM ET alongside Cris Carter and Jenna Wolfe. Moreover, he also hosted several other shows like What’s Right with Wright and THE HERD WITH COLIN COWHERD. American sports reporter Nick Wright, reportedly earns around $75,000, as his annual salary from the network. As of 2019, Wright reportedly has an estimated net worth of over $1 million. Nick is currently married to his longtime girlfriend Danielle and has daughters Deanna, Diorra, and a son Damonza. 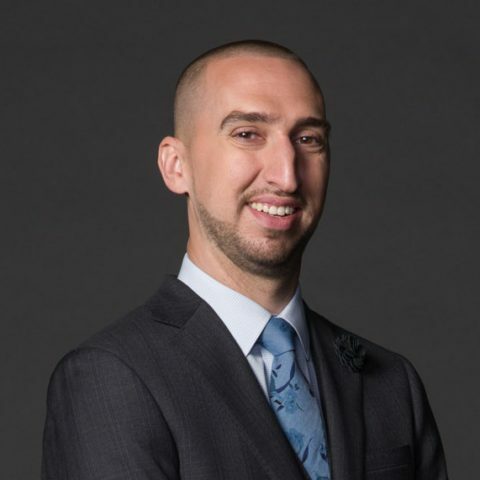 The American sportscaster/anchor Nick Wright has an estimated net worth of $1 million similar to that of Sarah Kustok. As of 2019, he reportedly earns an annual salary of $75,000 from his successful reporting career with FOX Sports 1. Further, FOX Sports 1 reporter receives an added sum of money from his radio and TV guest appearances as a sports pundit too. Broadcast analysts make $78,200 annually on average. Since this number can sometimes be skewed by higher wages, average wages are often used to predict earnings. According to the Labor Statistics Office, half of all broadcast analysts earned at least $56,680 annually. Nick Wright is married to his girlfriend Danielle. The duo tied the knot on April 14, 2013, in an intimate nuptial ceremony. What's more, the couple is blessed with a daughter Deanna born in October 2013. Besides, Nick's wife has a son and daughter from her previous relationship. Soon after the marriage, Nick adopted his stepchildren Dason Damonza and Diorra. Currently, the couple is living a happy married life in New York with their children. Moreover, Nick has loving and supportive parents. Besides Nick Wright, another famous sportscaster Drew Goodman also celebrates his birthday in April. 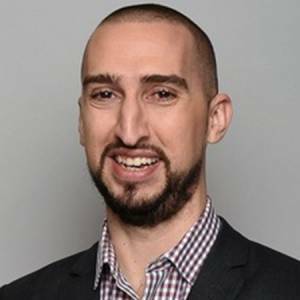 Nick Wright was born on October 3, 1984, in the United States. As per his nationality, he is American and belongs to the White ethnic group. Nick's father is Louie Wright who was a firefighter and his mother Charlene Wright who was a former attorney for the Shook Hardy and Bacon. Wright graduated from Syracuse University in 2007 with a major in broadcast journalism. Further information about his childhood is not disclosed. Nick started his career in the KCSP 610 AM in Kansas City, as a weekend host. Later he became an assistant in production and even hosted his own show called What's Right with Wright. He also worked for WAER 88.3 FM and often appears on severalFS1's daily shows. Currently, he is serving as a co-host of the First Things First alongside Cris Carter and Jenna Wolfe which airs on weekdays from 6:30 to 9:30 AM ET.